Copyright: Contestants will retain the rights to their photographs and grant the sponsor unlimited rights, usage of the winning image(s), the winner's name, photo, and likeness in any advertising/promotion efforts by the sponsor. 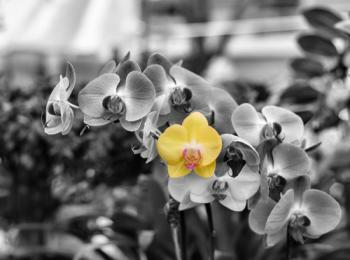 Theme: Black-and-white photographs with a color element. Winning photographs will be announced on the website pixcafe.net after January 12, 2014. One person can submit up to 3 photographs. Image requirements: Photographs with water marks or any signs are not eligible, except marks of trial software. JPG format. From 300KB to 5MB in file size; no shorter than 1000 pixels no longer than 2500 pixels on its’ longest side. Take a color photo, convert it to black and white and save as a separate layer; take the original photo, cut any object and save into separate layer; merge the layers, the layer with color object should be on the top. Participants can use any image processing software, including trial versions of Topaz B&W Effects and Topaz ReMask.